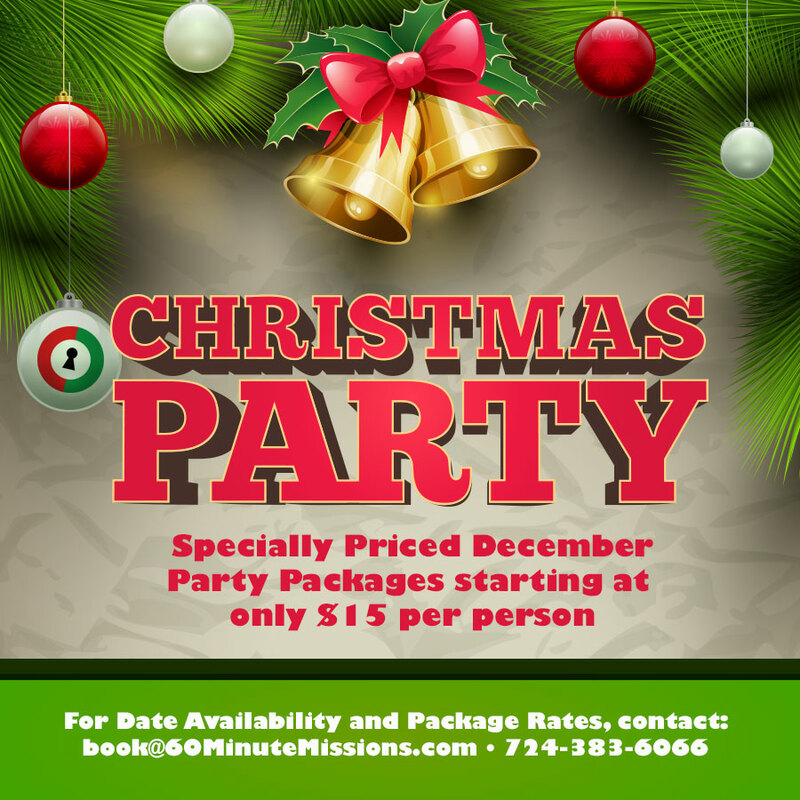 Now booking holiday parties (and soup swaps, wine swaps or cookie swaps) at 60 Minute Missions in downtown Greensburg. Add a fun spin on the traditional holiday gathering by having bites catered into the party room before or after attempting a 60-minute escape room mission. Two rooms available in December, each with 10 person capacity. Escape room party packages start at $15 per person. Contact us to get your party planning started! Packages available for Mission-Only, Party Room and Entire Facility Rentals. Call 724-383-6066 or email book@60minutemissions.com for date availability or more information.